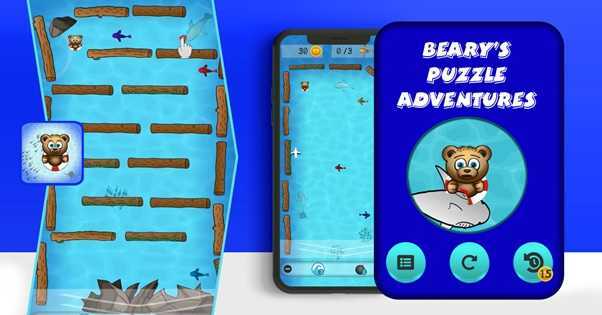 If you are looking for an iOS/Android game app that tests your intelligence and degree of undivided attention, then Rescue Beary iTunes is what you ought to be looking for. 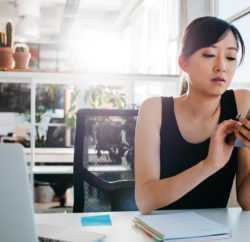 Forget the water physics-based games that are packaged with annoying ads, this exciting Android/iOS app offers you a guaranteed real-time stimulation with no ads whatsoever. 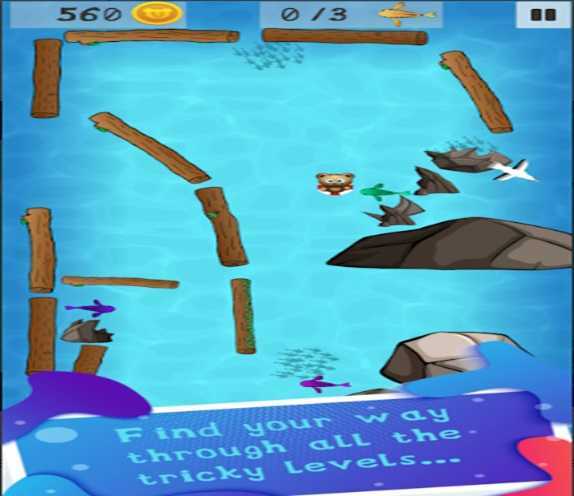 Theme of the game: The toon adventure begins with Beary’s airplane plunging into the ocean and charming Beary survival depends on reaching the shore safe and sound. The aim of the game is to ensure that charming Beary makes it safely to the edge of the ocean. That is the point when the action kicks off. Working of the app: Even though survival is the order of the day for Beary, the toon also needs to eat too. With just one click on the screen, the player can guide cute Beary to eat fish. This is definitely endless gameplay. Sharks floating on the ocean and other danger perils are something that the player should also be on the lookout too. Rescuing Beary safely to the shore will be determined by how smartly the ropes are used and how efficient the waves are created. Obstacles like whirlwinds, starving sharks and blocked logs can only be conquered by applying the ropes feature smartly. 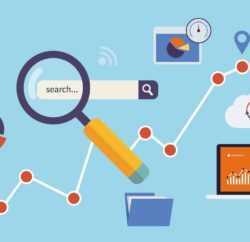 Features to look out for include sweet toon animation and graphics that are not only appealing to the eyes but also offer addictive gameplay. Every level offers the player a variety of new obstacles and different dangers. Something worth looking forward to each new level. Unlike some game app, this one supports offline play. 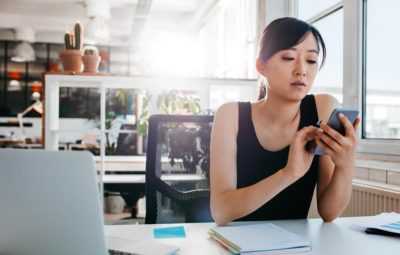 The more you play to move up to the next level, the more increasingly difficult it gets. 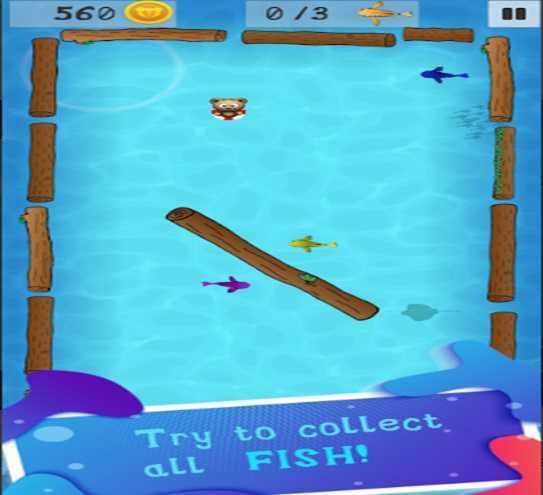 This aqua physic based mobile game makes you think outside the box and come up with strategies to conquer the levels. Every level requires a collection of three fish. The game is easy to learn but not too simple to get to the next level thus the challenge making it intriguing. Ropes, bombs and other features are available to your disposal to safely rescue Beary. Good thing about this game is that players can explore it both online and offline anywhere at their convenience. If you are looking for something that may help you escaper from the hustles and bustles of life, this very lovable toon adventure that comes packaged with irritable graphics will lift up your spirits at all occasions. The physics-based gameplay not only makes the entertainment more engaging but the players’ brain too by testing your motor skills.